Disney have released the first trailer for the live action remake of 'Beauty and the Beast.' Directed by Bill Condon the film stars Emma Watson, Dan Stevens, Luke Evans, Kevin Kline and Josh Gad, with the voices of Ewan McGregor, Stanley Tucci, Ian McKellen, and Emma Thompson. 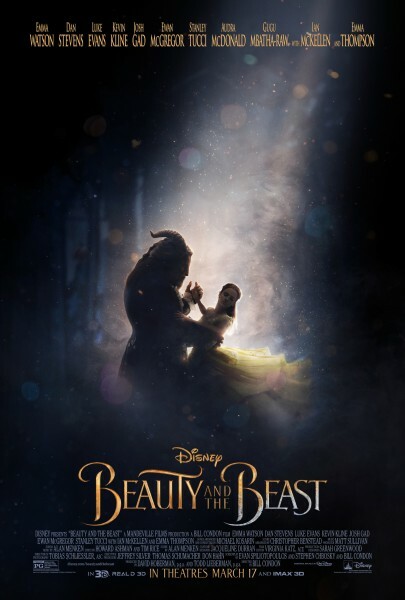 In this live-action re-imagining of the fairy tale, a young woman (Emma Watson) takes her father's place as prisoner in a beast's castle, only to fall in love with her beastly captor (Dan Stevens), who turns out to be a prince. It has a March 17, 2017 date.